Well, what happened to the 95+ degree weather of last week? It has vanished and in its place we have rain and cool weather. 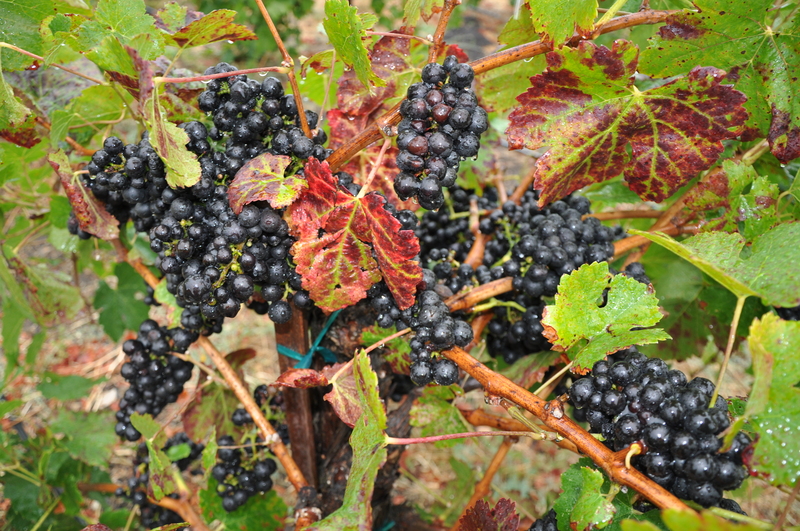 On Saturday, the brix measured about 20 — so while the grapes have great color and flavor, the sugars are too low for us to harvest. Last year, we harvested on October 19, and we are still hoping we can do the same this year. But, we need several more days of 80+ degree weather to get our sugars up to where they need to be. Right now, forecasts are telling us to expect warmer weather starting this weekend. Needless to say, we have our fingers crossed.